Holmlid: " H(0) is a quantum material and can have at least two slightly different forms—ultradense protium p(0) and ultradense deuterium D(0)—which are stable even inside many stars. ... Other important implications of the superfluid and superconductive phase H(0) in space await discovery." What Holmlid is asserting will give professional science a nervous breakdown. He is saying that Ultra dense hydrogen is superconductive and superfluid even when it is enduring the pressures and temperatures in and around stars that are typical when nuclear reactions are occurring in and on the surfaces of stars. What this posit is indicating is that there exists a mechanism where energy coming into the Ultra dense hydrogen is self reinforcing its superconductive property without limit in a positive feedback loop. Could it be possible that the assumptions(black body radiation) about the SK/QX is not correct? Let's have some fun and assume that the energy producing reaction that these reactors are operating under is driven by an EVO that is a black hole as Ken Shoulders has assumed. The plasma inside these reactors could support a Bose condensate that acts as a black hole. If this assumption is accurate, then the energy that these reactors are tapping into comes from the vacuum. By black hole theory, this energy is Hawking radiation where photons of a particular frequency proportional to the mass of the back hole falls into the black hole and its anti particle partner exits the surface of the black hole. Since photons are its own antiparticle, whatever energy that is produced by Hawkings radiation is both projected to the far field and also falls into the black hole. That's right, the energy extracted from the vacuum by the micro black hole is doubled because of the nature of the photon ( the photon is its own antiparticle). Half of the energy is radiated as heat and the other half of the vacuum energy feeds the black hole and makes it heaver. From equation 6 in the reference, the temperature of the Hawkings radiation is inversely proportional to the mass of the black hole. For a micro black hole, the mass is very small. that means that the temperature produced by that very light black hole is very high. The vacuum energy fed into the black hole produces light and sub atomic particles such as muons. You can see that the EVO is producing matter and light from nothing. I thinks this is where dark energy comes from. I think dark energy is what we commonly term gravity, actually a hybrid field, a binding force for all matter and energy. This force is what pressurizes the universe and without it, nothing but fundamental fields would exist. Dark energy is a component of gravity. It is associated with the cosmological constant in the Einstein equation. A positive vacuum energy density resulting from a cosmological constant implies a negative pressure, and vice versa. If the energy density is positive, the associated negative pressure will drive an accelerated expansion of the universe as per the cosmological constant, as observed. When energy is extracted from the vacuum, an associated negative pressure of the vacuum will result to compensate to keep the energy of the vacuum constant. black holes and white holes in the two spin components. one to organize ”faster-than-sound” signal propagation. These metastable polariton condensates have been observed in experiment to store 10^6 GeV or the mass of 1,000,000 protons. Could the energy be stored as Hawking radiation at the event horizon by the stoppage of time there as produced by relativity. The LENR black hole is an EMF issue and not a gravitational one so the details of that type of micro black hole is different from the big gravity based cosmic ones discussed in the video. The big difference is that Hawking radiation makes the micro black hole bigger (gain more energy) over time until it explodes whereas the big cosmic black holes loss mass. Russ George et al has observed that increases in solar and/or cosmic activity change the level of gamma radiation that is produced by their LENR reactor(s). This might be due to the change in the excitation state of the vacuum around the earth that the associated activity around and in the Sun is producing in the vacuum. A similar solar effect might be effecting the rate of radioactive decay that occurs when a Solar flair is ongoing. The activity of virtual particles are related to the radioactive isotope decay process. We report some striking results on thermal radiation properties of a resonantly coupled cavity photonic crystal (PhC) at elevated temperatures (T = 400–900 K). We experimentally found that at resonant wavelengths, λ = 1.1, 1.64, 2.85 μm, the PhC emission is spectrally selective, quasi-coherent, directional, and shows significant deviation from Planck's blackbody law at equilibrium. The presence of non-equilibrium effects, driven by strong thermal excitation and cavity resonance, may be the major cause for our experimental observation. Sooner or later, science would stumble over some sort of LENR reaction. thermal radiation coming off this photonic crystal (PhC) is up to 50 times stronger than blackbody radiation at certain frequencies. That radiation is coherent, directional, and focused, in other works, radiation produced by the LENR reaction. This finding has the researchers puzzled. Russ George is experimenting with LENR reactors that he built. Here is a post that is interesting. QX in my case seems to mean 'Quick Exit', a new first on Friday, I chickened out with new experiments, rushing to turn off the stimulation when 5 of the magnificient seven, newly reconfigured after a weeks work, ran out of control and promptly exceeded more than 1000 C and showed no sign of slowing down, more than 300 C above their set points. The other three of the '8 rack' were running as controls and performing Ohmic heating calibrations. Be careful what you wish for. Now to figure out why. The posit that some sort of proximity effect might be at play brings up the possibility of considering the onset of entanglement of macro systems. A common coherence mechanism between the 5 systems might have set up an entangled baseline where all the systems are acting as a single combined system. It will be fun to figure out what the common coherence mechanism could be. It might be a EMF field including a magnetic field as some has suggested, or it could be neutrinos, or wormholes, or it could be a coherent condition set up in the vacuum, or it could be a postulated 5th dimension. If one of the 5 systems is moved far from the the other 4 and the coherence between the five is not disturbed, then suspect that these 5 systems are entangled. Entanglement is maintained regardless of position in space. There has already been indications that something out in space is affecting the LENR reactors that Russ built. IF these systems are entangled, then Russ has discovered a potential communication technology that is instantaneous regardless of the distance between sender and receiver. Such a discovery is far more important than excess heat production, IMHO. IMHO. the key to LENR is the "so-called Grand Unified Theory"
When the cosmos first began, all forces and matter were the same. As the cosmos expanded, the forces and types of matter became unique and separate as the generalized state of entanglement between the various parts of the cosmos began to become unique. The key to controlling all the forces and matter is to get back as much as possible to the Grand Unified state that existed when the cosmos began. That control is asserted through reestablishing entanglement. The strong force can be accessed through entangling it with EMF. Forming magnetism in the proper form can access and manipulate the strong force. The application of LENR is all about forming magnetism so that it is entangled with the strong force. The strength of magnetism along does not access and connect with the strong force, It is the unique form that magnetism can assume that is the key to the LENR reaction. This special formatting of magnetism is how bacteria can cause nuclear transmutation processes to occur inside their protoplasum using magnetism with infinitesimally tiny strength levels. I wrote a very long explanation of my experimental findings and when I tried to post it disappeared :( Damn internet of things working against my energy/time lol! Anyways, if anybody can find information on Super Fluid Hydrogen that I don't have to pay $100 for I would love to read the litrature as its importance can't be underestimated. In the interview recorded in Episode 15 of the Cold Fusion Now! podcast with Dennis Cravens, he describes at about 1:50 in to after 2:30 how his reactor produces holes on the surface of his tube and if the rector is run hard at a high power density, the reactor falls apart. If LENR developers would look closely at the areas in their reactors that are LENR active, they would see all the signs that point to the cause of the LENR reaction. These indicators are seen in many LENR reactors. As discussed in the video, we may be seeing plutonic solids condense in the LENR ash as a result of instantaneous consolidation of the stored pseudo matter that is suspended in the active black hole as a quark plasma. When the black hole explodes, the quark plasma condenses and forms a solid crystal structure when the plasma solidifies and attracts electrons. This process of condensation of elements may not be associated with high temperature vaporization. The glass structures formed from copper oxide in the LION reactor ash could have been formed by a magnetically mediated flux tube based quark plasma consolidation process. The sucking sound that LION heard when his reactor was cold and he connected the light to the reactor might have been caused by the inflow of oxygen into the heater tunnel when the copper glass was instantaneously forming on the surface of the reactor copper wrapping..
One clue to exclude any temperature involvement in the formation of plutonic solid crystals is the survival of nano-particles and plastic substrates that formed the base upon which the various crystals formed, Vaporization level temperatures of oxides would have destroyed these plastic and nano-particle substrates. The SAFIRE project has encountered the LENR reaction in their experimentation. The mechanism for LENR in SAFIRE is unique. At 23:56, the experimental results show that light (UV) is slowed down to 1/60,000 of the speed of light. This points to the observation of Black hole behavior, or dark mode behavior that we see in other LENR experimental results. Light energy is being accumulated inside the LENR Active Agent adding to its power potential. At 45:07, a critical finding is revealed. The plasma becomes self feeding (aka self sustaining) at a very high power level. This self sustaining plasma behavior of the plasma is seen in the BrLP plasma. The plasma produces its own electrons and no electrons from the cathode is needed to keep the plasma energized. We have seen in the LION experiment that the AA eats and gains energy in storage until a termination point is reached. When the AA terminates its active stage, it seems to release its stored transmutation products and possibly its energy store. The AA becomes dormant until the next activation cycle. The AA seems to live many lives and leave energy and transmutation products in a serial process. Could this release of energy at AA death have inspired Rossi's 7 second activation cycle for the QX reactor where at the end of the 7 seconds, stored energy is released and the cycle restarts again to produce the next batch of energy accumulation in the AA? I had no idea that this experiment was possible, but Rossi ran it. This test might detect a disturbance in the vacuum is occurring, The posit that negative vacuum energy is being produced by the LENR reaction might show up in this test, also extracting energy from the vacuum might also be detected by this test. If energy is being extracted from the vacuum, it will come in the form of negative energy photons. Here is how we will recognize when the production of vacuum energy is occurring. The negative energy photon has been produced in the lab. It turns out to be a photon with negative frequency. That negative frequency makes this negative energy photon produce a pulse of light at an even bluer color than the base line positive energy partner (vacuum energy pair derived). If vacuum energy extraction is occurring, than the production of blue light (UV or XUV) will occur. Both Rossi and Mills report this kind of light is being generated by their systems. Analogical models are a method of representing a phenomenon of the world, often called the "target system" by another, more understandable or analysable system. They are also called dynamical analogies. Two open systems have analog representations (see illustration) if they are black box isomorphic systems. I suggest that a fundamental postulate of LENR might be that any structure or process that produces hawking radiation will extract energy from the vacuum as a primary source of energy production. This structure or process contains an event horizon where photons from the vacuum are confined and separated between positive and negative energies. An example of such a black hole like analog structure or process that can result in the LENR reaction in a plasma is a "Plasma mirror". Such a plasma mirror acts like a black EVO in a plasma. There could be many and varied LENR active structures or processes in which an analog black hole can form. Plasma based systems like SAFIRE, the QX and SK reactors, and the SunCell could be forming multiple plasma mirrors within their plasma in which energy from the vacuum could be extracted. The posit here is that LENR is a process that produces most of its energy output from extracting heat photons from the vacuum. The plasma must fall into a state in which an analog event horizon forms. Such plasma based systems unlike the black EVO could be free from strange radiation since the plasma mirror is not self sustaining. Any energy extracted from the vacuum is not nuclear or sub nuclear and as such is free from dangerous nuclear based radiation. For example in SAFIRE, we know from experimental measurement that UV photons are being held in the plasma so that their speed of propagation is slowed by a factor that is 60,000 times less than the speed of light. This could be a consequence of a process whereby the boundaries between the double layers are forming multiple plasma mirrors in which UV photons are being extracted from the vacuum via Hawking radiation. NASA’s Antarctic Impulsive Transient Antenna (ANITA) has detected an ultrahigh-energy particle with about 500 times the mass of a proton coming from the direction of the Antarctic ice. The particle shower that the particle produces indicate that the particle had energies in excess of 0.5 exa-electron volts—70,000 times higher than the energy achieved with the most powerful particle accelerator. There are a number of puzzles that are coming from the ice environment. Pluto is geologically active and Ultima Thule might still be. Its hard to believe that the heat that is keeping Pluto geologically active is still coming from freezing ice after 4.5 billion years of freezing. It might be best to understand the mysteries that nature shows us when they reveal themselves. octonion-math is Vortex based math. I beleive that this math explains how the properties of quarks come from the operations of octonion-math, This following article shows how quarks are connected by a vortex like flux tube. There is good phenomenological evidence that in a rotationally excited baryon a quark-diquark (q - D) structure is favored over a three-quark (qqq) structure;;. Eguchi had shown that it is energetically favorable for the three quarks in a baryon to form a linear structure with a quark on one end and bilocal structure qq at the other end. Similarly, Bars and Hanson, and independently Johnson and Thorn had shown that the string-like hadrons may be pictured as vortices of color flux lines which terminate on concentration of color at the endpoints. A baryon with three valence quarks would be arranged as a linear chain of molecule where the largest angular momentum for a state of a given mass is expected when two quarks are at one end, and the third is at the other: At large spin, two of the quarks form a diquark at one end of the string, the remaining quark being at the other. Regge trajectories for mesons and baryons are closely parallel; both have a slope of about 0:9(GeV )^-2. If the quarks are light, the underlying quark-diquark symmetry leads to a Miyazawa symmetry between mesons and baryons. Thus we studied QCD with a weakly broken supergroup SU(6=21). Note that the fundamental theory is not supersymmetric. For quarks, the generators of the Poincar´e group and those of the color group SU(3)c commute. It is only the effective Hamiltonian which exhibits an approximate supersymmetry among the bound states q anti-q and qD. Here is another reference to vortex flux tubes in particles. This looks exactly like what we saw in the LION experiments. find favor among modern physicists. that has the properties of an ideal fluid. Based on John Archibald Wheeler's ideas that participles are black holes with wormholes. Not all particles might be black holes but some quasiparticles surly are since we have seen them in experiments, and these quasiparticles can interact with the quarks inside particles through vortex flux tube reconnection producing transmutation. I beleive that the LENR process is a complex reaction that is comprised of multiple sub-reaction-mechanisms one being transmutation. Transmutation can exist on its own such as occurs in microbes. There is no high energy components that accompany this process...if there were, then the microbes would not survive. Also there are energy generation sub-processes that do not involve transmutation. As Rossi developed his system, he changed the way he did things and the LENR reaction reflected these changes. It is possible that an initial LENR reaction formed CU as a transmutation product, but then a latter reaction did not. Rossi added lithium to his fuel mix as a latter improvement, This changed what the reaction did and what transmutation products were produced. Right now Russ George is adjusting his fuel blend that he uses in his LENR reactor and the LENR reactions that are produced also change in responce. For example, one fuel mix produces radiation and another just produces heat. It is not correct to think of the LENR reaction as simple and unchanging, the LENR reaction is very complicated and is a function of the way it is generated. For example, in Rossi's latest system: the SK reactor, transmutation may not be occurring. That system could be extracting energy from the vacuum as one of these major energy producing LENR sub-processes. Is the temperature of the plasma in the Ecat uniform, or are there different temperatures? This bit of info tells us something important about the LENR reaction in the SK reactor. The energy production zone is located at a fixed location inside the plasma. This LENR active zone does not move around randomly throughout the plasma. We would expect that random movement of the energy production zone would imply a mobile LENR active agent such as a black EVO which is independent of the plasma...like a fish swimming in a lake. That fish could travel anywhere in that lake. The LENR active zone inside the plasma is fixed in the "core" of the plasma. This means that the plasma itself is supporting the LENR reaction as an integral and indispensable component of the LENR process. The SK reactor is a plasma based LENR reaction where the plasma supports the reaction without the action of another independent agent. Lawrence Crowell of Institute for Advanced Study, Princeton (IAS) with expertise in: Cosmology and Elementary Particle Physics. You seem to be up on Black hole stuff. Can you explain this point that is confusing me? Hawking radiation produces a pair of particles created just outside the event horizon of a black hole. It is possible that the positive member of the pair (say, an electron) may escape - observed as thermal radiation emitting from the black hole - while the negative particle (say, a positron, with its negative energy and negative mass) may fall back into the black hole, and in this way the black hole would gradually lose mass. But a positron has positive energy(512KeV). Can you explain how a particle with negative mass converts itself into a particle that has positive energy? Does it involve the flow of time? Have you already covered this in your blog? @ Axil: Remember that this picture of an electron pair is a bit of a heuristic. However, we can address this matter from the perspective of quantum field theory and Dirac's old idea of the “Dirac sea.” To start Dirac proposed that the anti-electron sat in the bottom half of the momentum-energy light cone. The Lorentzian light cone with time arrow inside the cone and the basis vectors for spatial directions outside has its Fourier transformed version with energy direction inside the cones and momentum basis vectors out. The negative energy bottom half cone is completely filled, and if it is not then some positive energy will fall in and fill it emitting a photon. The positive top part of the cone has positive mass-energy electron states. The two halves of the cone have a gap of mc^2 for the mass of the electron. So to generate an anti-electron one must impart 2mc^2 or more energy into a state in the negative half of the cone to jump it into the positive energy cone across the mass gaps. This means the physical anti-electron has a positive mass. Along with this positron comes an electron as well. By pulling a positive charged negative energy state in the bottom light cone you have left a “hole” and this has a negative charge in this “sea.” That is canceled by generating a negative charged electron with positive mass and the hole is filled..
We now can use this to think of more modern quantum field theory. The electron and positron were pulled out of the vacuum by imparting sufficient energy in some interaction, such as a gamma ray scattering off a nucleus. These loops or virtual particles in the vacuum can be removed by a process called normal ordering. We expect these processes to have no contribution unless they are coupled to real particles. In that case these things are summed over for a range of energy or momentum and as such are considered “off shell.” So we have no particular trouble thinking of the particle that enters the black hole as negative and the real particle makes it out of asymptotic infinity. However, this picture becomes a bit problematic when we consider gravity. The vacuum may be removed for ordinary quantum fields, but with gravity it will still have some gravitational interaction. Now consider the Penrose diagram for the Schwarzshild metric. The horizons for the X in the middle and we then think of there being a quantum loop, such as for the e-p pair at the center. 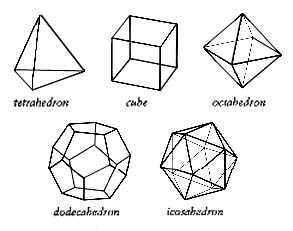 Gravitation determines the path of a particle classically as following geodesic flows. However, if we think about the path integral of quantum mechanics only one path for a particle is on the geodesic; the other paths are really nongeodesic. The same holds for this loop. I wrote on Stack Exchange on how the Kerr-Newman black hole for a stationary accelerated frame near the black hole the local spacetime region in that frame is AdS_2×S^2, where AdS_2 is an anti-de Sitter spacetime in two dimensions. The AdS spacetime has negative curvature or a negative vacuum energy. That observer will only be able to detect part of that loop, as this observer never crosses the horizon. This deformation of the vacuum into a locally negative value is one way within spacetime that we can think of the black hole as absorbing negative mass-energy. That loop is also on a non-geodesic path and the result is that negative mass-energy crosses the horizon. Then true to the old idea of Dirac positive energy particles emerge from the black hole. Next, it can also be formed into a time crystal, a new form of matter. We analyse nonequilibrium phase transitions in microcavity polariton condensates trapped in optically induced annular potentials. We develop an analytic model for annular optical traps, which gives an intuitive interpretation for recent experimental observations on the polariton spatial mode switching with variation of the trap size. In the vicinity of polariton lasing threshold we then develop a nonlinear mean-field model accounting for interactions and gain saturation, and identify several bifurcation scenarios leading to formation of high angular momentum quantum vortices. For experimentally relevant parameters we predict the emergence of spatially and temporally ordered polariton condensates (time crystals), which can be witnessed by frequency combs in the polariton lasing spectrum or by direct time-resolved optical emission measurements. In contrast to previous realizations, our polaritonic time crystal is spontaneously formed from an incoherent excitonic bath and does not inherit its frequency from any periodic driving field. The polariton condensate produces two counter-rotating spin vorticies that are the source of the north and south poles of the vortex flux tubes (wormholes) that were seen in the LION reactor ash analysis that MFMP did. What does this mean for LENR? An EVO could be a self perpetuating liquid time crystal that continually and permanently vibrates without the need for energy and in so doing, breaks time symmetry and the conservation of energy. When time symmetry is broken, so is the conservation of energy. Time Crystals are Very Interesting - Ask a Spaceman! Science is a passion driven by curiosity. It is not a job, it is an obsession driven by the need to know. During his lifetime he was primarily known for his achievements in meteorology and as a pioneer of polar research, but today he is most remembered as the originator of the theory of continental drift by hypothesizing in 1912 that the continents are slowly drifting around the Earth. His hypothesis was controversial and not widely accepted until the 1950s. The really major advances in science are not recognized for decades after they have been made by those obsessed with knowing and discovery. These discoveries are just too hard to accept by the current paradigm of the day. As it has been, it remains so today. There are great advances in science that have been made but are currently being ridiculed. It just takes decades for these advances to pass the test of time and to come of age. I am pleased to report that this reaction has been discovered and will be utilized in a commercial product that will be introduced on this upcoming January 31. A two hour live demo available on the internet will be held to mark the introduction of this commercial product. Your questions during the discussion in direct streaming on http://www.ecatskdemo.com will be welcome. phase catalyzes the creation of coherent systems. The paper recognizes that the formation of a Bose Einstein condensate is central to the formation of a charged cluster. The electron must be converted into a Boson to form that condensate. What I don't yet see is the central role that entanglement with a boson plays in the process of converting the election into a boson. Examples of those bosons are photons, phonon, and exitons. What Rossi et al is assuming is that the vacuum particles will convert electrons into bosons at a small scale. What really happens is that if electrons and a boson pair is localized in a confined volume for a long enough time, the boson and the electron will eventually equilibrate and therefore eventually be entangled to form and "election based boson". This condensate is called a EVO. I think that the paper also said is that the spectrum emission lines produced by the plasma shows that a Holmlid based ultra dense hydrogen species (protium) is showing up in the plasma. When it gets way down deep into the nuclear and sub atomic particle processes that are being produced by the electron clusters, it is hard to tell what is happening. MFMP is fortunate to have LION and ECCO reactor ash data that shows what processes are going on that Rossi cannot see in his plasma.